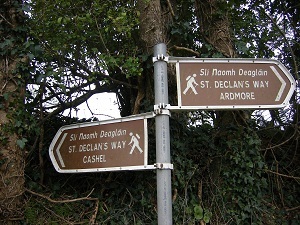 Following a very successful walk to Ardmore over St. Patrick’s Weekend 2012, termed An Camino in honour of the famous Spanish mountain pilgrimage, Kevin & Ber O’Donnell are responding to demands for a similar event in the summer. This event will take place over the August Bank Holiday Weekend from Saturday 4th to Sunday 6th, 2012. 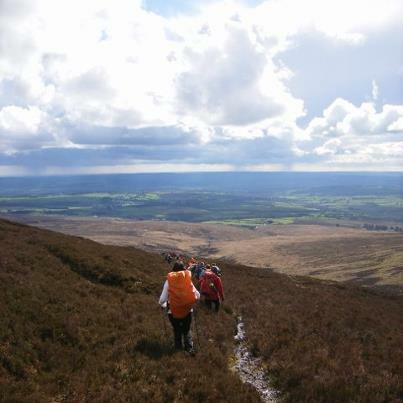 Walk & Accommodation: €220 per person sharing to include 3 nights B/B, 2 dinners, transport (from Kilmaneen Farmhouse to walk and back) and guides. Walk Only: €60 per person to include transport and guides for the 3 days. All enquiries to Kevin O’Donnell at Kilmaneen Farmhouse, 052 6136231 (intl + 353 52 6136231), Mobile: 086 3541700 & 083 3351090 or email info@kilmaneen.com. You can also find Kilmaneen Farmhouse on Facebook. Book the 2013 event here.